Searching for the best national parks in the United States? Good news: we’ve ranked America’s best National Parks for hiking, camping, backpacking and all-around trails. Where’s the best place for exploring the backcountry in the U.S.? If you go by attendance, many would say America’s 60 National Parks. No joke, attendance is booming. In 2017, the National Park Service (NPS) reported a near-record 330 million visitors. (That fell just short – by about 80,000 visitors – of 2016’s record-breaking year.) And of the 60 parks in the U.S., 42 set attendance records compared to 2016 totals. The reason for the rush? The National Parks are home to some of America’s best make-your-jaw-drop vistas, secluded trails, and one-of-a-kind terrain. The parks have become America’s outdoor playground, perfect for biking, hiking, kayaking and climbing. Looking to the best parks for hiking? Beyond many of the park’s tourist main thoroughfares, you’ll find deserted trails in some of America’s most rugged and majestic wilderness. Keep in mind that as you are reading this guide, take notes and share with friends and family who are considering taking a trip to the United States’ national parks. National Parks in Southwest, United States – You’ll find tons of incredible parks in the southwest, including some of the most popular like the Grand Canyon and Zion. National Parks in Pacific Northwest, United States – From Alaska’s rugged wilderness, to the temperate rainforests of Washington, the Pacific Northwest offers a variety of mythic wonderlands to explore. National Parks in California, USA – California has the most parks of any state. And you’ll find a wide-range of terrains, from island preserves to ancient Redwood forests. National Parks in Rocky Mountains, United States – Stunning high-altitude trekking, drop-dead-gorgeous vistas, and challenging hikes are just a few things to look forward to in the Rocky Mountain region. National Parks in Midwest, United States – The Upper Midwest and the Dakotas are home to some of America’s most stunning and least-trafficked National Parks. National Parks on East Coast, United States – Incredible wilderness and rugged coastlines are features of the East’s most popular parks – like Acadia. The Best National parks to visit in america: Top list for you. These badges above represent just a handful of places we’ve visited. Each of these national parks offer backpackers, campers, and hikers a great opportunity to explore new trails and terrain. You’ll one-of-a-kind terrain, mostly uncrowded trails (in some, but not all), and perfect destinations for adventures you’ll remember for ages. Just remember to bring comfy hiking shoes, a great tent or hammock, and a hiking backpack. 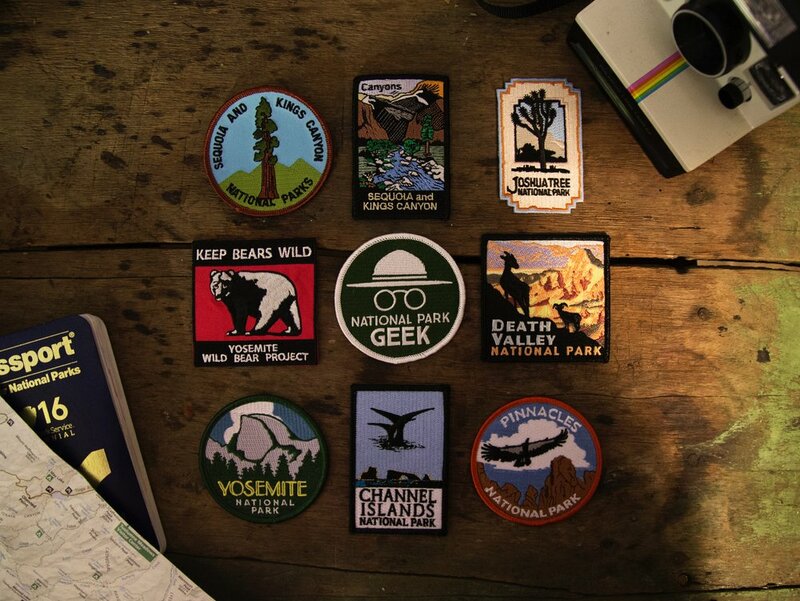 And you will notice that we have acquired the USA National Park badges, which you can get by visiting the U.S. National Park Services locations at any of the national parks below. Bottom line, if you’re planning an outdoors trip and want to cross a park off your bucket list, these are the 15 best National Parks in the United States. What are the best national parks in the Southwest? The Southwest, including Utah, Arizona and West Texas, is home to a plethora of parks. Here, you’ll find great places for spring hikes, and some of the most out-of-this-world geological wonders. #1: Grand Canyon National Park – Arizona – Yearly Attendance: 6.2 million people. The Grand Canyon might be the most iconic park in America, drawing tourists from across the globe. That makes sense. This natural wonder provides awe-inspiring views no matter where you are. For hiking, the Grand Canyon might be the Southwest’s – and let’s face it, America’s – greatest natural playground. Rim-to-river trails abound, allowing you to scamper 5,000 feet into the canyon and gawk at the rushing Colorado River. Bottom line, every hike is memorable, but the best can be life-altering. Day hikes: Hike the Bright Angel Trail. One of the “highways” into the canyon, Bright Angel is a workout. You’ll descend from the South Rim eight miles down to the canyon floor, about 4,300 below. Along the way, savor the epic panoramas and enjoy a break along the Colorado River. A great overnight too; camp at Phantom Ranch on the canyon floor. Multi-day trips: Hike the Escalante Route. Backpacker calls it one of the “Best Hikes Ever.” And for good reason. The Route showcases all of the Grand Canyon’s most spectacular terrain: A slot canyon, incredible rim views, sandy beach camping, and rocky scrambles. The 34-mile route is challenging – best for intermediate to experienced backpackers – but it offers some of the best views and solitude in the entire park. When to Go Visit the Grand Canyon? Spring through early summer or fall. July and August draw the biggest crowds, but Arizona’s scorching summer temperatures reach into the 90s and above. In spring and fall, temperatures are moderate, and you’ll avoid the crowds. Overall, the Grand Canyon National Park is our #1 favorite national park to visit in Southwest USA. #2: Big Bend National Park – Texas – Yearly Attendance: 440,276 people. Texas. Yep, everything is bigger in Texas. Including one of the best national parks in America, called “Big Bend National Park.” Down in the West Texas borderlands, Big Bend National Park draws the nation’s desert rats. This remote park – which covers the entire Chisos Mountains and parts of the Chihuahuan Desert – offers a wide variety of terrain to explore. You’ll find desert, mountain and river hiking, with treks for all skill levels. Hikers flock here for solitude and the beautiful terrain. The wildflowers bloom in spring, adding vibrant dashes of color to the dusty desert landscape. And around every corner, you’ll find splendid views of the desert, the Rio Grande, and the Chisos. Day hikes: Hike to Cattail Falls. One of the park’s hidden gems, you’ll beat the crowds and get a chance to enjoy the refreshing Cattail Falls. The roughly 6-mile trail is moderate in terrain, with an elevation gain of just 700 feet. But you’ll find rewarding desert views around every corner. Pack light; shoot for a small daypack. Multi-day trip: Try the Outer Mountain Loop Trail. This one’s a beast, as you’ll experience lots of elevation changes, few (if any) reliable water sources, and plenty of challenging sections. But the 24-mile hike provides a diverse mix of desert terrain. The key is planning. You can cache water along the way, otherwise plan to carry at least 1.5 gallons per person per day. Also, the desert sections have very little shade. A hiking shade umbrella is handy. NATIONAL PARKS: RANKED BY BEST TRAILS, Location, and OUTDOOR ADVENTURES. When to Go Visit Big Bend National Park? Big Bend is perfect in March and April, as well as later fall (late October through November). The weather can be brutal. Afternoon heat can be downright dangerous, no matter the time of year, so plan on packing in plenty of water. What Backpackers, Campers, and Hikers Will Love: Big Bend offers a chance to explore all the best of the Southwest: mountains, the Rio Grande, and sprawling desert. Big Bend National Park is the #2 national park in the Southwest. #3: Canyonlands National Park – Utah – Yearly Attendance: 742,271 people. Want to visit one of the best national parks in Utah? The Canyonlands is that place. The red-oranges walls and out-of-this-world slot canyons of Canyonlands National Park draw thousands of trekkers each year. Not a surprise. The park is one of the most naturally beautiful in the entire Park System. And it offers terrain that’s equal parts postcard-worthy and challenging. The park is known for its claustrophobia-inducing slot canyons, which slice through rugged orange sandstone walls, some only stretching a foot-and-a-half or less at their narrowest. But there’s plenty to admire, including as-far-as-the-eye-can-see views, quiet backcountry treks, and stunningly beautiful rock formations (like Elephant Hill and Mesa Arch). Whether you’re looking for an easy day hike, or a long-haul excursion, Canyonlands offers the best of the best in desert hiking. Day hikes: Hike the Joint Trail in Canyonlands’ Needles District. The trail – a 5-mile out-and-back – introduces you to all of the park’s natural wonders. You’ll hike through narrow-as-a-knife slot canyons and get world-class views of the unique sandstone spires. Multi-day trips: Plan a loop in the Needles District. Nearly 60 miles of trails crisscross this stretch of the park, and no matter where you go, you’ll be treated to some of the best hiking in the Southwest. Try the Salt Creek Canyon Loop, which takes you on a tour of ancient ruins, pictographs and all-star views. Or you can combine the Joint Trail with the Chesler Park Loop for an epic overnight adventure. When to Go Visit Canyonlands National Park? Spring and fall are best, as summer temperatures can make hiking miserable. Yet, crowds do show up in the spring (especially around spring break). Plan ahead and reserve campsites well in advance. In fall, the park tends to be a bit quieter. Canyonlands national park (Utah): One of America’s Best National parks to visit. What Backpackers, Campers, and Hikers Will Love: Get treated to the Southwest’s most unique terrain: Slot canyons, arches, windows, spires – Canyonlands has it all. We absolutely loved visiting this national park and recommend you check out Canyonlands and Zion National Park if you are ever outdoor adventuring in the State of Utah. Canyonlands in the State of Utah is the #3 best national parks to visit in Southwest USA. Another one of the top national parks in America, and specifically Utah, is Zion National Park. One of utah’s best national parks: zion national park. Zion National Park has stunning good looks and plenty for hikers to explore. This is the ultimate adventure park. Throughout, you’ll find some of the most epic terrain in the world, from cliff-side trails with sheer drop-offs, to tiptoe rim trails and epic creek crossings. Sure, the park is one of the most popular in the country. In fact, it’s No. 3 in terms of attendance. And if it’s solitude you’re after, you’ll have to take to the park’s more isolated corners. But even so, Zion is a treasure. Just remember to bring your camera to capture perfect pics of those orange-pink Navajo Sandstone canyon walls. Day hike: Hike the Narrows. Zion’s most popular trail slices through the narrowest part of Zion Canyon. Along the roughly 8-mile route, you’ll walk the Virgin River, with sheer, 1,000-foot canyon walls on either side. The views are absolutely breath-taking. Hiking sandals/watershoes are perfect! Multi-day: Do the Trans-Zion Trek. When you go to Zion, you’ll want to see it all. And this 47-mile trip puts on a show. Across 5 days, you’ll be treated to stunning rim-trail panoramas, epic arch views, and some challenging terrain. Most routes take you from the La Verkin Creek Trail, to finish on the East Rim, with a side trip to Angel’s Landing on the way. When to Go Visit Zion National Park? Spring offers the most moderate temperatures. Yet, due to spring runoff, some popular trails may be closed. Fall is perfect too, although overnight temperatures can drop into the 40s. What Backpackers, Campers and Hikers Will Love: Zion provides you with stop-you-in-your-tracks views and access to death-defying cliffside trails (check out Hidden Canyon). We absolutely recommend visiting Zion National Park. Put this park on your top national park’s list. 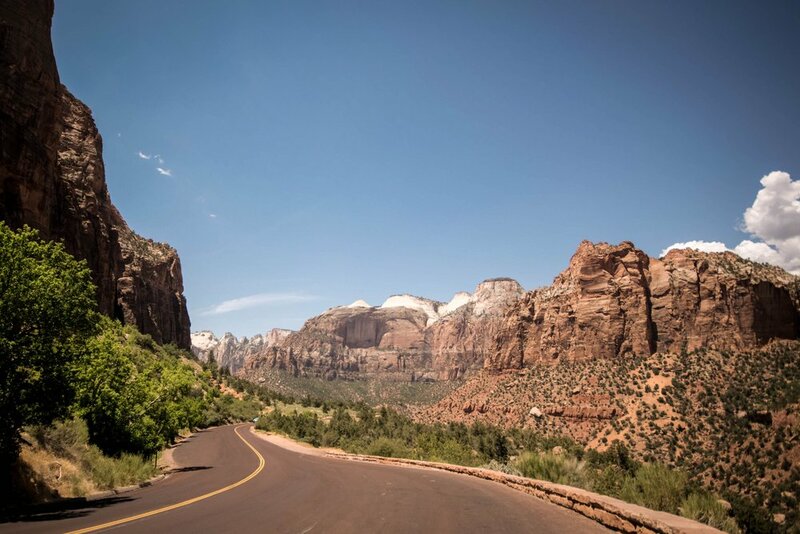 Zion National Parks in the State of Utah is ranked #4 best national parks in the USA. What are the best national parks in the Pacific Northwest? The Pacific Northwest – which stretches from Oregon to Alaska – offers some of the most stunning backcountry in the U.S. Emerald rainforests, pristine coastlines, and immense expanses of protected wilderness are just a few of the highlights. Olympic National Park offers some of the most diverse landscapes of any park in the U.S. One day, you can explore glacier-capped peaks. The next, trek through ancient temperate rainforests. Plus, the park’s 70 miles of wilderness beaches are a major draw. In short, you can tune your trip to whatever suits your fancy. Whether you’re looking for a strenuous climb with epic views, or a rainforest stroll, this park has you covered. Day hike: Hike the Ozette Triangle Loop. This 9.5-mile loop – well, a triangle actually – showcases some of the park’s best terrain. You’ll jaunt through the rainforest on your way to a beautiful and rugged stretch of beach. Hike the three miles along the coast, before taking another plank-lined rainforest trail back. Multi-day trips: Try the North Coast Route. This 20-mile hike – an Olympic classic – follows the coast, taking you through coastal forests and along primitive beaches. Stop to check out the sea stacks. If you’re looking for a mountainous hike, check out Anderson Glacier via Enchanted Valley. A waterproofed backpack or tent is a good idea. Beautiful image of Backpacking and hiking in Olympic national park: one of the best national parks in america. When to Go Visit Olympic National Park? April-October. Spring and fall tend to be a bit rainier, with mist-like precipitation a common occurrence. Yet, both offer a bit of reprieve from the summer crowds. What Backpackers, Campers, and Hikers Will Love: The incredible mix of terrain – more than 300 glaciers, volcanos, wilderness coast, and majestic rainforests – is well-worth a visit. Go see this national park and you will see why it’s the best for backpacking and hiking some of the World’s most beautiful trails. Olympic National Park is the #1 ranked best national park in the Pacific Northwest (and Washington State). #2: Crater Lake National Park – Oregon – Yearly Attendance: 711,749 people. Oregon has one of the best national parks in America: Crater Lake National Park. There might not be a more photographed lake in the U.S. Crater Lake is a beauty. With its deep blue waters and teepee-shaped island, the lake conjures images of remote backcountry and great alpine hiking. And that’s exactly what it delivers. Throughout the park, hikers are rewarded expansive views of the lake. But beyond the main Rim Drive, there’s plenty more to explore. Crater Lake National Park has numerous waterfalls, including the gorgeous Plainki Falls, as wells more than 90 miles of backcountry trails. You’ll have plenty of chances to experience the Cascade Mountains, and, of course, snap some photos of the namesake lake. Day hike: Hike Mount Scott. The tallest mountain in the park at 8,832 feet Mt. Scott provides expansive views of Crater Lake. It’s the perfect vantage point for sunset photos. The 5-mile out-and-back can be a bit strenuous, but the views more than make up for the effort. Think about bringing a portable paddleboard! Multi-day: Try the Pacific Crest Trail (PCT). The PCT runs for 2,000+ miles from Mexico to Canada, including about 33 miles in Crater Lake National Park. Not only will you get great views, but the trail winds through Cascade meadows, provides incredible views along the route, and you’ll feel like you have the park to yourself. One of the best national parks in the state of oregon: Crater Lake. When to Go Visit Crater Lake National Park? April through October. Spring weather can be a bit chilly, but you’ll beat the crowds and many of the park’s best trails are sparsely crowded. By summer, temperatures reach into the 70s, and the tourists flock to the lake’s shores. What Backpackers, Campers, and Hikers Will Love: Crater Lake is one of the most pristine and awe-inspiring, and hikers get breathtaking views. This is the #2 best national park in the Pacific Northwest (and State of Oregon). #3: Denali National Park – Alaska – Yearly Attendance: 642,800 people. Alaska’s “Denali” National Park is a beauty. Alaska inspires a sense of adventure, and for many, Denali National Park is the destination. This six-million-acre park – one of the largest in the country – offers a mind-blowingly huge expanse of land to explore. Of course, Denali, the 20,310-foot peak, is a sight you’ll see from anywhere. But around every corner and in every meadow, there’s something to behold. The park is a favorite for wildlife photographers. Grizzlies, wolf and elk are a common sight. The hiking, though, is some of the most rugged and peaceful in all of the U.S. The park is home to dozens of trails, each offering off-the-beaten-path backcountry to explore. Day hike: Hike Triple Lakes Trail. This 18-mile out-and-back is pure Denali hiking. You’ll feel like you and your crew are the only ones on the trail. Plus, you’ll be treated to a buffet of jaw-dropping views of rumbling rivers, alpine lakes, and wildlife. Multi-day trip: Many of Denali’s best backpacking trips are plan-your-own adventures. Take a look at the Teklanika Trail, which provides a link into the Teklanika River Valley. The valley offers plenty of incredible multiday trips. Just remember: Denali has a competitive backcountry permitting process. Be sure to plan ahead. When to Go Visit Denali National Park? Denali’s peak season is mid-June through August. There is a shoulder season in spring and fall, but rain and cold make hikes more challenging. If you’re not an experienced cold-weather camper, it’s best to stick to summer. What Backpackers, Campers, and Hikers Will Love: Epic solitude and beautiful scenery when backpacking, camping, and hiking the beautiful terrain of Denali National Park in Alaska. And if you plan on visiting Alaska, don’t forget to bring your rod and reel for some amazing fishing. In fact, we have experienced the amazing fishing first-hand and been able to fish in many places while camping in the Denali. If you plan on visiting Denali National Park, make sure you are fully-equipped with the best backpacks, camping tents and outdoor gear and electronics to keep you safe! Denali National Park in Alaska ranks as the #3 best national parks in the United States and we highly recommend you visit this gorgeous terrain. What are the best national parks on the West Coast? California is home to some of America’s most beloved National Parks, including Yosemite and Joshua Tree. Yet, beyond the bustle of the popular sites, you’ll find some quieter – and just as magical – alternatives. #1: Yosemite National Park – California – Yearly Attendance: 4.3 million people. California is home to one of the largest, most-attended, and most beautiful national parks in America: Yosemite. Yosemite is the crown jewel of the High Sierra, a wonderland of expansive views of waterfalls and beautiful granite walls. The Yosemite Valley draws the most traffic, which makes sense. It’s here you’ll find all of the park’s most iconic crags and beautiful waterfalls. From El Capitan and Half Dome, to Bridal Veil Falls, this gorgeous valley is home to it all. Yet, the park is huge. With nearly 800,000 acres, it’s one of the largest in California, so there’s plenty to explore beyond the bounds of the valley. Wherever you go, though, you’re in for a treat. Yosemite puts on a show, giving hikers some of the most out-of-this-world views in the U.S.
Day hike: Hike the Four Mile Trail. This strenuous 7.5-mile out-and-back is a challenge, but the views from the top couldn’t be better. You’ll get a birds-eye view of the entire Yosemite Valley, including Half Dome, Royal Arches, El Capitan and Yosemite Falls. Important note: Both day hikes and multi-day adventures are amazing, but remember that the National Park Service only permits you to stay up to 7 (seven) consecutive days in the park, with a permit. Many of our adventurers who have traveled Yosemite realize that there are ways to avoid fines, penalties, and even imprisonment. (Yes, it’s ridiculous that the National Park Service would ever arrest anyone for staying in public lands such as Yosemite). However, the best advice we have for those backpacking, camping, or hiking in Yosemite to avoid such issues: (1) change your camping site each night, (2) clean up your waste so as to not make a mess or leave a trail… and just because it’s the right thing to do, and (3) turn off your camping lights after 7:00pm (PST) or earlier. In fact, you should cook and do all of your necessities before 7:00pm every night. Multi-day: Hike up to White Cascade via the Glen Aulin Trail. The rushing falls are stunning, and they’re the perfect place for a dip on warm summer days. It’s a bit of a climb, especially as you near camp, but it’s worth the trip. This is the perfect overnight in Yosemite. El Capitan (Yosemite): for the bravest of adventurers and those who don’t mind putting their life at stake, you should go and hike “El Capitan.” Yes, of course be safe and don’t free solo… or do if your name is Alex Honnold - the world’s greatest free mountain climbing free solo’er. Below you will find a photo of “El Capitan” and just how steep this slope is for mountain climbing. When to Go Visit Yosemite National Park? Yosemite is beautiful year-round. But spring and fall take the cake. In July and August, the park’s attendance peaks, and many of the main roads get clogged with traffic. What Backpackers, Campers, and Hikers Will Love about Yosemite: Challenging High Sierra hikes that will push you to your cardio limits. Fortunately, the incredible views are well worth the effort. One of best national parks in the USA: Yosemite. Pictured above is a waterfall from the beautiful yosemite national park. Overall water falls and landscape. If you haven’t visited Yosemite National Park, stop what you are doing and get your outdoor trip planned today. The last thing we want to show you is a beautiful photo of one of the most amazing front-faces of a rock formation in the world, “El Capitan.” As we stated above in our review of the best national park on the West Coast, it’s only meant for the most adventurous, danger-seeking mountain climbers in the World. Do not attempt this climb unless you are the most advanced climber and are willing to risk your life. 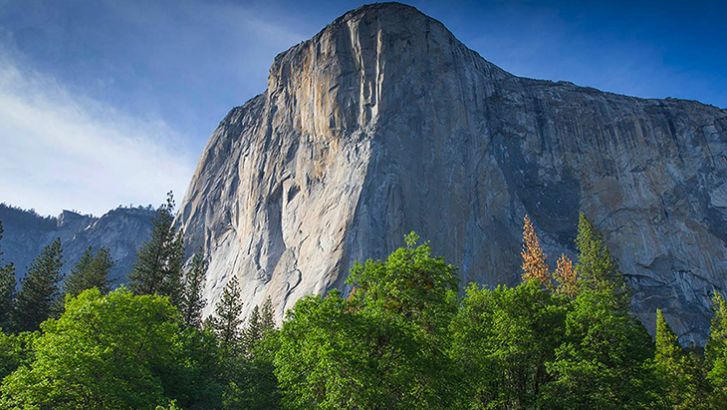 El Capitan stands as the most impressive rock structure on the North American hemisphere. Go check this national treasure out. Yosemite National Park (California) ranks as the #1 best national park on the West Coast. #2: Redwood National Park – California – Yearly Attendance: 445,000 people. Northern California’s Redwood National Park doesn’t have the name-recognition of Yosemite or Joshua Tree. But this tucked-away stretch of coastline wows visitors with its lightly trafficked trails, old-growth coastal redwoods, and some of the best beach hikes in the country. The park is home to some truly incredible trees, like Hyperion – the world’s tallest – which towers 379 feet in the air. Yet, the real draw for hikers are the miles of scenic trails. You’ll wind through old-growth forests, scamper along rim trails with beautiful views of the Pacific, and find yourself alone on some truly epic beaches. Day hike: Hike to Hidden Beach. This 7-mile out-and-back takes you through forest down to a stunning and usually deserted beach. From the beach, you’ll get great views of Klamath Rock, a beautiful sea stack. Multi-day: The park has only one main thoroughfare – the Coastal Trail – that allows overnight hiking. The trail offers moderate trekking, with plenty of side trips down to the beach or into incredible redwood groves. Plus, the trail is dotted with great backcountry campsites. When to Go Visit Redwood National Park? You can take a trip to the Redwood any time of year. But in winter, you’ll usually be greeted by grey skies and wet conditions. Summer offers the best weather with moderate traffic. What Backpackers, Campers, and Hikers Will Love: Incredible temperate rainforest hiking, with out-of-this-world Pacific views. The Redwood National Park is the #2 ranked best national park on the West Coast (California). Where are the best national parks in the Rocky Mountains? There might not be a more iconic mountain range in the world. The Rockies – from Montana, to New Mexico – offer the best in high-altitude adventuring and postcard-worthy vistas. And as such, they draw some of the largest crowds. #1: Glacier National Park – Montana – Yearly Attendance: 3.3 million people. Glacier National Park offers some of the best alpine hiking in the entire park system. The entire park offers a bounty of beautiful landscapes. From turquoise-hued alpine lakes (the unique color is caused by glacial silt), to four-star summits with epic views, the park is a backcountry hiker’s paradise. At more than 1 million acres, there’s a lot to explore. Try the Cut Bank Area, a quieter section of the park that offers some incredible hiking. Or stick to Going-to-the-Sun Road and Logan Pass, and hike some of the park’s more trafficked, but just as scenic, trails. No matter what you choose, Glacier is Montana’s high country at its finest. Day hikes: Hike the Highline Loop. The Highline is a 12-mile “loop” high, (you’ll take a shuttle back), and it’s one of Glacier’s most iconic. You’ll get expansive views of the Flathead range, while climbing up Garden Wall. A quarter-mile ledge on the face of Garden Wall might give you pause, but once you’re to the top, you’ll be happy you made it. Multi-day trips: Try the Triple Divide Peak. Located in the southern Cut Bank area of Glacier, the Triple Divide Peak trek is a 16-mile, strenuous out-and-back. You’ll do about 4,000 vertical feet on this overnight, including a class-3 ridge climb to the top. But it’s a summit adventure that super rewarding. When to Go Visit Glacier National Park? July-September. Hold off until mid-summer, when the snow has had a chance to melt. In spring and fall, some areas of the park become inaccessible. But by early July, you’ll be able to see it all. What Backpackers, Campers, and Hikers Will Love: Hikers flock to Glacier for the park’s epic high-altitude climbs. And of course, Glacier National Park has some of the best climbing areas within a national park too. One of the best things about the Glacier National Park is that it’s tucked in one of the most beautiful states in America: Montana. If you haven’t visited Montana (or this national park), now’s the time. You won’t regret visiting these beautiful lands. Glacier National Park is the #1 ranked, best national park in the Rocky Mountains (State of Montana). #2: Yellowstone National Park – Wyoming – Yearly Attendance: 4.1 million people. List of best national parks in the usa: #2 in Rocky Mountains State of wyoming - '“Yellowstone"
America’s oldest park is also one of its most majestic. There are so many icons here, from Old Faithful, to the Yellowstone Falls. But for backpackers and hikers, the park offers some of the most stunning backcountry in all of the country. Yellowstone is home to truly epic terrain: from geysers and lush forests, to raging alpine rivers and canyons. It all feels other-worldly. Grand Prismatic Hot Spring, with its crystal blue waters, is a stunner, and the Grand Canyon of the Yellowstone provides some of the best rim hiking in all of the National Parks. The park is the ideal hiking destination for backcountry aficionados, especially the less trekked southeast corner of the park. Day hikes: Hike the Fairy Creek Loop. This is a long day hike, at 16 miles, but fortunately, the terrain is moderate. And you’ll get a beautiful cross-section of the Yellowstone terrain, including geysers, waterfalls, and wildflower-pocked meadows. Multi-day trips: Take off on the thoroughfare. This 67.5-mile trail is the complete Yellowstone experience. You’ll have the chance to see beautiful alpine meadows, pristine backcountry, and may be in for a wildlife encounter. Over 5-6 days, the thoroughfare offers the best of Yellowstone trekking. 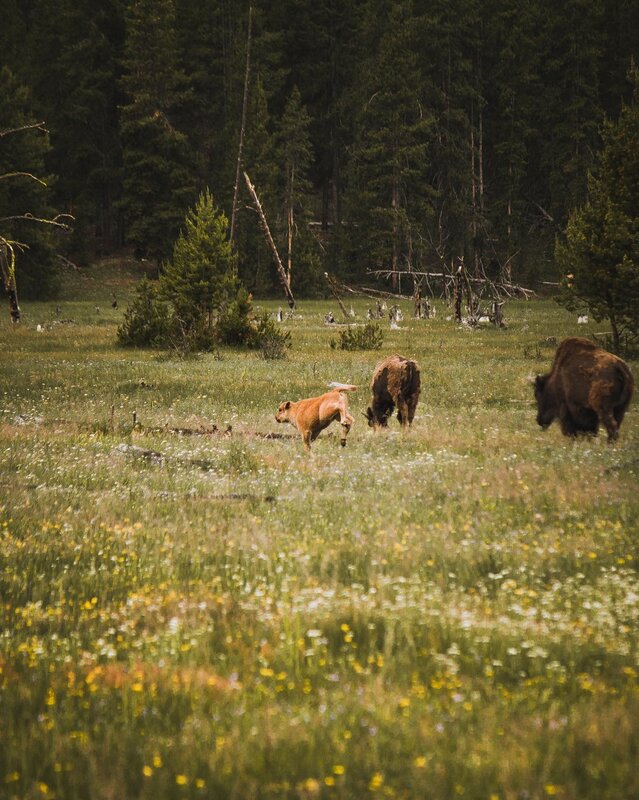 Beautiful wildlife photo: one of america’s top national parks - yellowstone. When to Go Visit Yellowstone? Yellowstone is best in late spring through early fall. By late fall, several of the entrances are closed due to snowfall. What Backpackers, Campers, and Hikers Will Love: Yellowstone is the destination for backcountry trekking, especially away from the main drag. Natural wildlife, and roaming animals. The best outdoor camping sites. Low entrance fees and easy-to-navigate roads. Waterfalls and terrains that are unparalleled. #3: Great Basin National Park – Nevada – Yearly Attendance: 168,028 people. Great Basin is one of the least-visited parks, but really, it’s a hidden gem. We consider the Great Basin National Park to be one of the most fun national parks in America. Away from the crowds of Yosemite, you’ll find pristine backcountry, quiet trails and beautiful scenery around every corner. Although it’s relatively unknown, Great Basin is a natural wonder: the park is home to ancient bristlecone pine forests, as well as 13,000+ Wheeler Peak. For hikers, Great Basin offers an uncrowded playground. The 200-square-mile park offers thousands of acres of backcountry to explore, and on the majority of the park’s trails you’ll feel like you’re by yourself. If you want solitude, go to Great Basin. Day hike: Hike the Wheeler Peak Trail. You’ll scamper up to the top of the park’s tallest peak on this 8.5-mile out-and-back. In early fall, the aspen start to change colors, which makes it a favorite time to go. But no matter the time you head up, the views from the top are truly stunning. Multi-day: Take to the Baker Lake Trail. This 10-mile jaunt is the perfect overnight escape in Great Basin. The trail is lined with aspen groves, cacti and bristlecone pine, a great first introduction to the park’s flora. And at the top, you can experience the secluded and quiet Baker Lake. When to Go Visit Great Basin National Park? You’ll want to visit Great Basin National Park in the summer. Most of the trails reach 9,000 feel and can become impassable in spring and fall, and weather can be quite unpredictable outside of the Memorial Day to Labor Day window. Spring hiking is good too, but you may have to do some post-holing at higher altitudes. What Backpackers, Campers, and Hikers Will Love: Incredible Yosemite-like terrain, without the crowds. Great Basin is a great destination for backpacking, hiking, and camping for any outdoor adventure. 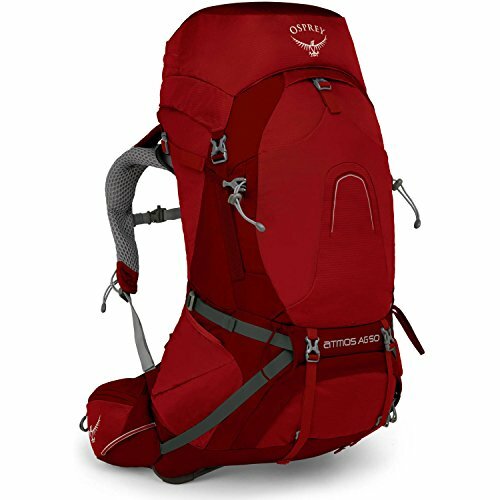 Check it out on your next backpacking and hiking trip. Great Basin National Park is the #3 ranked, best national parks in the Rocky Mountains (State of Nevada). The Midwest might not have as many National Parks as the West. 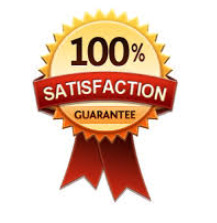 But what the region lacks in quantity, it makes up for in quality. The Midwest is home to some truly hidden gems in the National Park system. #1: Isle Royale National Park – Michigan – Yearly Attendance: 28,196 people. Michigan’s Isle Royale National Park is unique. For starters, this island – the largest in Lake Superior – can only be reached by boat or sea plane. That certainly deters some. Yet, because of the island’s relative size, it has a higher per-capita average of hikers on its trails. Still, Isle Royale showcases the beauty of Lake Superior. From beautiful forested trails with wide-ranging panoramic views, to coastal jaunts, visitors are in for a few days of epic hiking. The island is mostly primitive, as there are only a few interpretive centers. And for hikers, that means true backcountry camping. The Isle Royale’s trails wind through broadleaf forests, saunter up ridges with beautiful overlooks, and provide cover on the coastline. But beyond the hiking, the park is perfect for kayaking and canoeing. Day hike: Hike the Scoville Point Trail. This 4.9-mile loop takes you on a tiny peninsula from the Rock Harbor Lodge. Expect awesome Lake Superior views along the way, as well as a jaunt through dense forest. The star – Scoville Point – is a beautiful, rugged overlook, that provides the perfect vantage for one of the island’s best inlets. This is the perfect spot for paddle boarding! Multi-day: Want to see it all? Hike the Greenstone Ridge Trail. This 39.5 point-to-point cuts right through the middle of the park, providing incredible views along the way. It’s a primitive route too, one of the more isolate hikes on the island. And that means you can beat the crowds that tend to stick to the coasts. When to Go Visit the Isle Royale National Park? Isle Royale has a short season – May through September each year. What Backpackers, Campers, and Hikers Will Love: Incredible lakeside hiking and quietest trails. Even though it might not have the brand name of Yosemite or Yellowstone, anyone traveling to Michigan would be smart to go adventure into this park. Isle Royal National Park is ranked #1 best national park in the Midwest USA (State of Michigan). 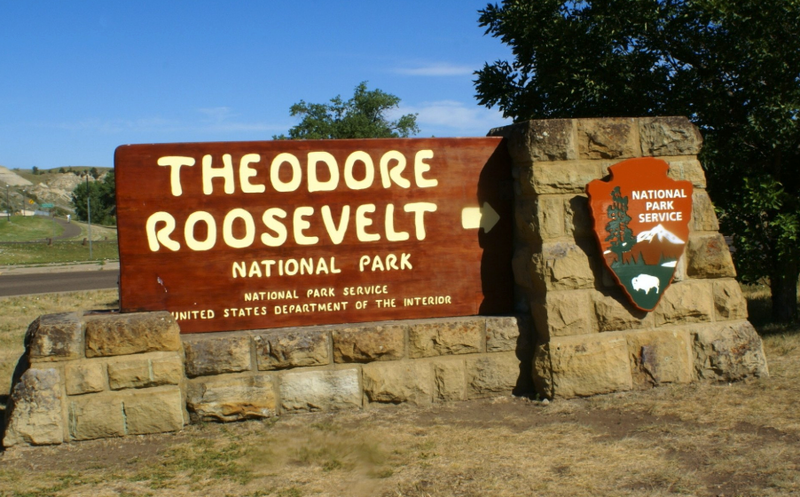 #2: Theodore Roosevelt National Park – North Dakota – Attendance: 708,000 people. 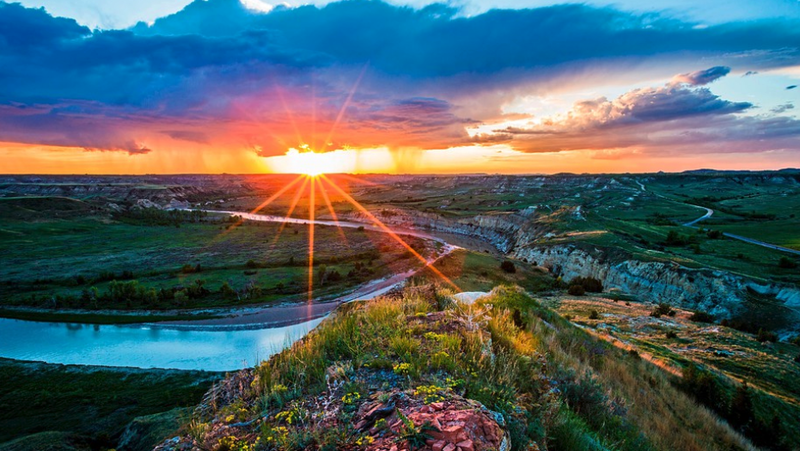 Want to visit North Dakota’s best national park? Here it is: Theodore Roosevelt National Park. The Badlands in the Dakotas is one of the most beautiful locations. This is were the Great Plains and the Rockies meant, and the terrain starts to change dramatically. In fact, settlers gave the area its name because it was so inhospitable and difficult to walk. There are two parks up here: Badlands in South Dakota and Theodore Roosevelt in North Dakota. Both provide exquisite views of the Badlands’ incredible rock formations. But Theodore Roosevelt is certainly a bit quieter and the hiking is just as awesome. The park’s trails provide all-star views of the unique rock formations with their iconic black and red bands. Day hikes: Hike the Caprock Coulee Loop. This 4-mile loop provides a great introduction to Badlands hiking. Get sprawling ridgeline views of the prairies and the rock walls from the top of the Caprock Coulee. Multi-day trips: Check out the Maah Daah Hey Trail. This is one of the best kept secret’s in North Dakota, a 144-mile trail (about 95 of which run through the park). Perfect for hiking and mountain biking; the trail provides the best solitude of any trail in the country, as well as an incredible Badlands experience. When to Go Visit Theodore National Park? Traffic picks up in the summer, especially in July and August, but temperatures can get hot. Mid-May through June offers great weather and October too. What Backpackers, Campers, and Hikers Will Love: Moderate hikes with expansive Badlands views. Theodore Roosevelt National Park is ranked #2 best national parks in the Midwest USA (in North Dakota) and you should go visit when you can! Along the East Coast, from Maine to the Florida Keys, you’ll find massive protected natural areas. Yet, in the East, the parks are few and far between, and they serve millions of visitors each year. Even so, if you’re willing to ditch the tourist traps, you’ll be treated to incredible adventures. #1: Acadia National Park – Maine – Yearly Attendance: 3.5 million people. What is the best national park on the East Coast of the United States? Answer: Acadia National Park. While Acadia isn’t the East Coast’s most trafficked park (Great Smokey Mountains National Park receives 10 million visitors a year! ), it does receive its fair share of visitors. Even so, the park offers some of the most beautiful scenery in all of New England. Hike to the top of peaks and watch the sunrise over the Atlantic. Explore hidden beaches, or tour the park’s historical lighthouses on foot. Really, Acadia is synonymous with adventure. Hikers aren’t just greeted by incredible vistas and beautiful backcountry; the park is also home to numerous moose, so keep your eyes peeled. Day hikes: Hike Sargent Mountain South Ridge Trail. You’ll climb up to the top of Sargent Mountain, the park’s second tallest peak at 1,300 feet. Savor the expansive views from the top, and enjoy the rolling meadows below. Multi-day trips: Acadia doesn’t allow backcountry camping, so you can’t have traditional overnights. But there are tons of great established campgrounds, which offer great access to trails. If you’re looking for a longer hike, though, try the South Ridge Trail. This all-day 11-mile trek showcases all of Acadia’s most famous sights, including Cadillac Mountain and the Ladder Trail. must visit national park in state of maine: acadia national park. When to Go Visit Acadia National Park? The majority of campgrounds are open from spring until mid-fall. Summer is beautiful here, which draws the crowds. If you’re after solitude, shoot for a fall trip. What Backpackers, Campers, and Hikers Will Love: Hike to hidden beaches and summit some of the tallest peaks on the East Coast, with plenty of challenging segments. The best-ranked national park on the East Coast USA: Acadia National Park. Go visit and share your stories with Angel Outdoors. Answer: there are 60 protected lands, known as “national parks” in the United States of America. What are the national parks in the United States? Answer: here’s a great list of the national parks in the United States. When is the best time to visit one of America’s National Parks? Answer: the best time to visit the USA’s national parks is whichever season you enjoy the most. 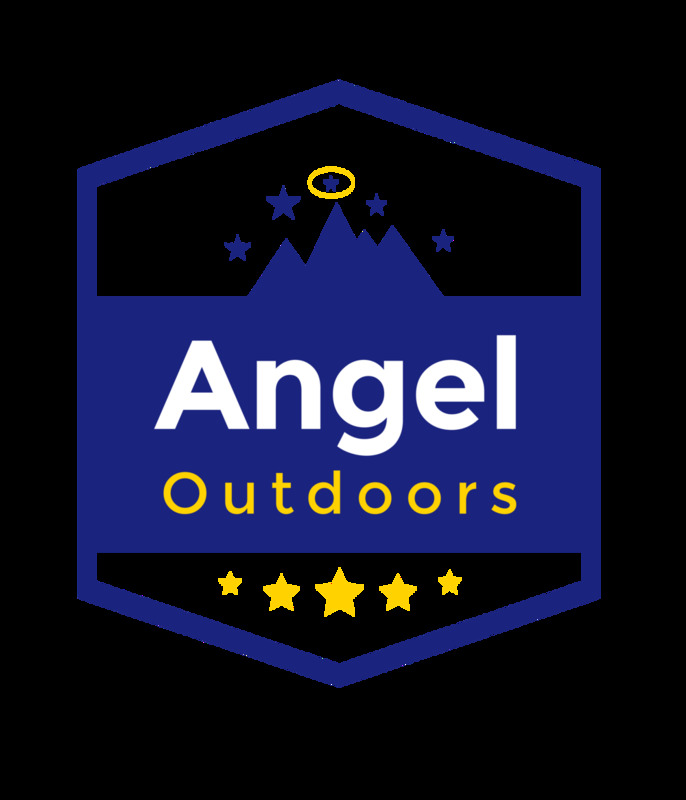 For us at Angel Outdoors, we prefer Fall and Summer, which gives us plenty of opportunity to visit the National Parks and see the fall foliage and change in leaves. And during the Summer, you can take a nice swim in the beautiful waters of National Parks such as Yellowstone and Yosemite. However, if you can only get time off of work to visit during a particular time outside of Fall or Summer, just go for it! Even the Winters are gorgeous, they just require more thermal protection and outdoor sleeping bags to keep you warm! Is it safe to go camping and hiking in National Parks? Answer: Yes. It is absolutely safe to go camping and hiking in America’s national parks. Just make sure, if you are a beginner, that you go with more experienced hikers and climbers. You don’t want to find yourself out of your element and worse of all, to be fearful during a time that should be fun and relaxing. The National Parks offer some of the most incredible hikes in the country. No matter where you go, you’ll be rewarded with postcard-worthy views, and plenty of chances to experience nature – full force. What is the biggest National Park in the United States? Answer: The biggest national park in the USA is Wrangell-St. Elias. This National Park measures more than 20,000 square miles and measure more than 13,175,799 acres. Yep, it’s a massive national park. It measures twice (2x) as big as Denali (in Alaska) and more than six times (6x) as big as Yellowstone National Park. However, the bulk of this land size is from the massive size of the mountains, much of which is not traversable by beginner backpackers, campers and hikers. Answer: According to the NPS.Gov, “Thaddeus Kosciuszko National Memorial,” PA, at 0.02 acres. Wow. Compare this to Wrangell-St. Elias, and you will see just how small that is. Is it free to visit the national parks? Answer: No, not normally. However, you can purchase an all-inclusive pass for less than $100 from the National Park Service here. So these are the 15 best national parks you could visit; but in all the 60 parks in the U.S., you’ll find amazing outdoor escapes that you’ll remember forever. What’s your favorite National Park hike? We also want to hear from you about your experiences visiting these national parks and landmarks. Connect with Angel Outdoors on social media and send us your national parks hiking photos! Receive Our Free Top 15 Best National Parks List. Enter email to get downloadable list sent to your inbox.